We learn from each other, as well as from Eunice, because our choir thrives on working together to achieve one voice. 5 – Where and when do the choruses rehearse? The two main choirs prepare the same full choir numbers for performances. Your choir is so entertaining! We thoroughly enjoyed the performance and can't wait for the next one. We enjoyed your concert so much. Surpassed our expectations. 10 – Is there travel involved? Since 2008 members of the choir have traveled to France, England, and New York City twice. We completed a week long trip to Hawaii in November of 2015. Travel is not required and usually about 30 – 40 % of the members make the trips. Members are responsible for all expenses on trips. England and France were choral exchange trips. 11 – How do I get started? 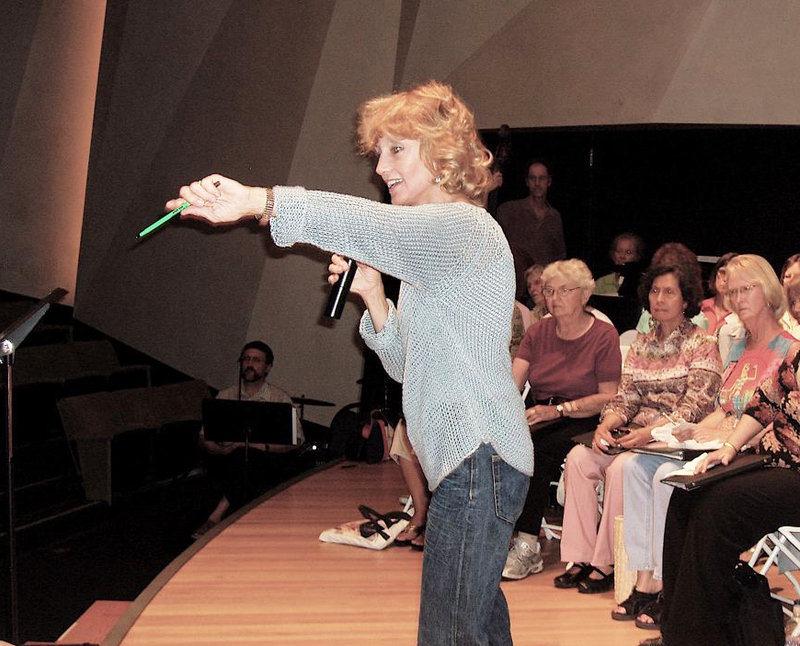 Attend a rehearsal, have the director listen to your pitch and range so you can be assigned to a section (soprano, alto, tenor or bass) and begin attending rehearsals. Ask the director who your section leaders are and see them for help in getting started and answering further questions. You will be asked to register with the college. Our members, ages 35 to 95, come from all walks of life and all levels of experience, including professionals with decades of performances. Our purpose is, foremost, to enhance the quality of life of older adults. 2- Who sponsors the choruses? They are sponsored by the San Diego Community College District. The sessions are classes in the district’s curriculum. They are also supported by the Minnie Swanson Foundation. 3 – Can anyone join? The short answer is yes but there is a minimum standard of musical experience needed to be successful. You should be able to read music and/or should have experience in at least one other choir. If you don’t have this it would be to your benefit to take a basic choral skills class. All members register with the SDCC district and are asked to commit to attending regular rehearsals. 4 – What does it cost? Participation in the class is free; the choir pays for its own refreshments at rehearsals. Everyone at choir is so happy to be there. Each time we meet, our spirits are lifted. 6 – Where and when do the choruses perform? 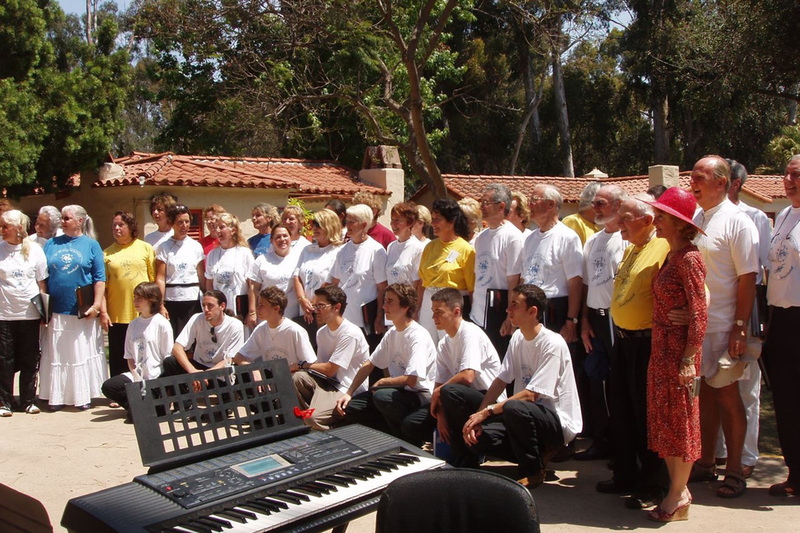 We perform 10-12 times a year at various locations, mostly senior centers and large churches. 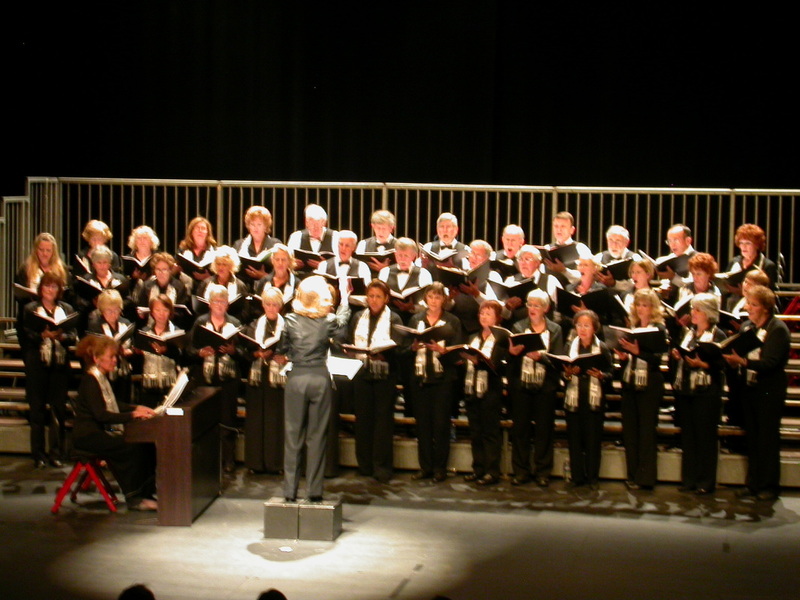 Large concerts are held in May and December. 7 – What kind of music do the choruses sing? Many singers in our groups value the opportunity to sing in a smaller ensemble and to learn one piece as near to perfection as is possible. Singers for the ensembles will be selected to participate according to their ability and their vocal quality. Solos will mostly be available as a part of a choral piece, but very occasionally there will be opportunities for standalone solo pieces. 8– Who leads the choruses? We are blessed with three talented, experienced instructors/directors. The main instructor is Eunice Williams and she is assisted by Patricia Cox and Stewart Simon. All three are experienced directors and accomplished accompanists. 9 – What costuming is involved? 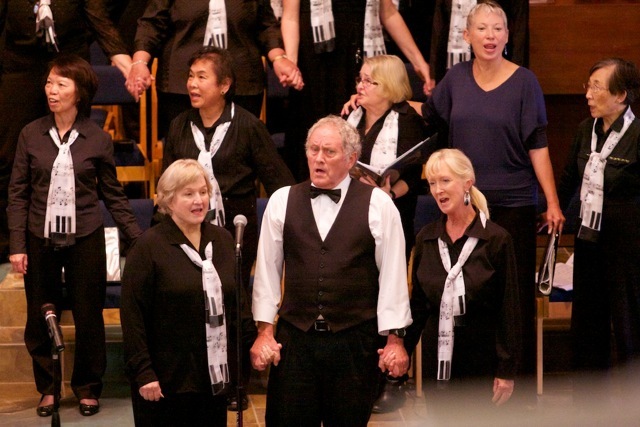 The choirs have a simple mix of slacks, tops, vests, scarves and ties that are rotated. Not fancy, not expensive. WELCOME to Pacificaires and Cedar Center Chorus!